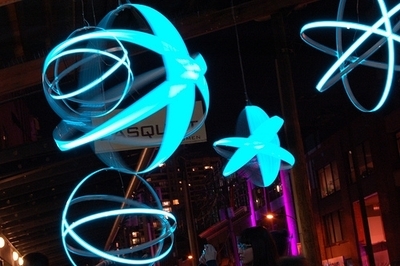 Electroluminescent Lamp, or EL, is a flat flexible plastic lamp that wraps around corners and uneven surfaces. This product is cool to the touch and meets UL as well as other agency safety requirements. These systems are available in custom lengths as well as by the roll. They are flexible enough to wrap around corners or uneven surfaces. The Electroluminescent Lamp is designed to withstand high impact or pressure but not abrasion. I wonder what are the lamberts ratings for this product, from the picture it seems the environment light is very control. Even so very useful in decorative accent lighting & flexible enough to create the unexpected.